Maruti has launched its first ever hybrid vehicle in India in the form of Ciaz diesel SHVS (Smart Hybrid Veicle by Suzuki). The Ciaz mini hybrid is priced at Rs. 8.23 lakh (Ex-showroom, Delhi) for the base variant. The Ciaz diesel SHVS/mini hybrid features start-stop technology, brake energy recuperation and Engine Power Assist Systems. The Ciaz diesel mini hybrid delivers fuel economy of 28.09 Kmpl making it the most fuel efficient car in the country. It surpasses even the two cylinder diesel of Celerio which as fuel economy figures of 27.62 Kmpl. In fact Maruti has stopped the regular diesel model of Ciaz showing how confident the company is with its SHVS technology. 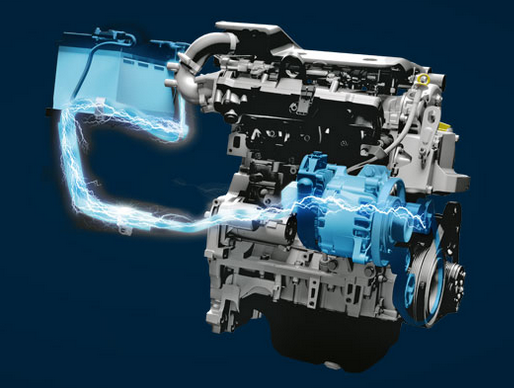 Powering the Ciaz mini Hybrid is Maruti’s 1.3L DDiS diesel engine couple to an integrated starter generator. Whenever there is breaking or use of start-stop technology, the integrated starter generator charges the additional new high capacity battery. The engine gets an electric boost through Engine Power Assist System via the battery during acceleration at 2500 rpm. Exterior wise there are no changes to the car but for the SVHS badge on the boot lid. There are additional lights on the instrument cluster and a gearshift indication is an addition. Same trim levels of Ciaz are retained with an addition of VDi(O) trim which gets dual airbags, ABS and seat belt pre-tensioners as addition. The Ciaz mini hybrid is slightly cheaper than the regular diesel model, thanks to FAME hybrid and electric car initiative by the Government of India. The car also becomes the only vehicle in the segment to come with hybrid technology. Its competitors are Honda City, Hyundai Verna and Volkswagen Vento.